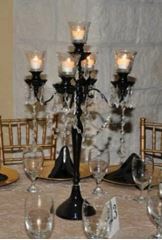 Black 24" candelabra with crystal glass hanging jewels. 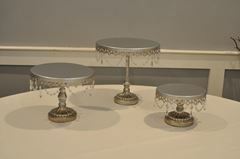 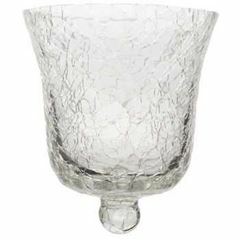 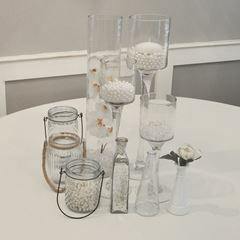 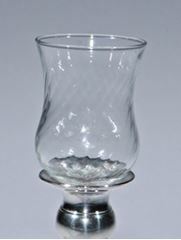 Can be set up with 5 crackled glass candle holders or with a flower bowl in the center. 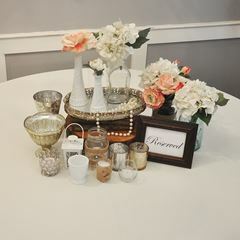 Makes for a romantic event! 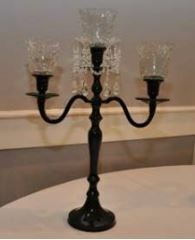 Black candelabras (see also 15" black candelabra) Flowers NOT included. 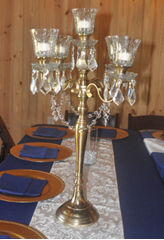 Gold 24" candelabra with hanging jewels. 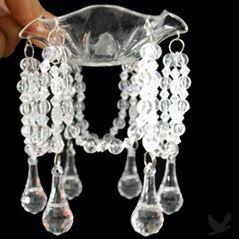 Can be set up with 5 crackled glass candle holders OR with a flower bowl in the center. 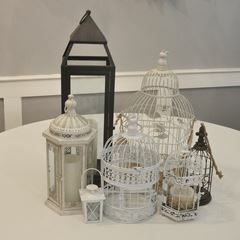 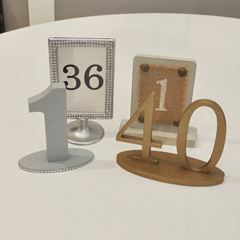 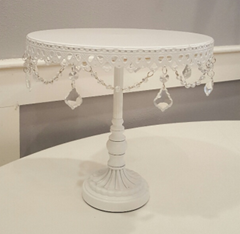 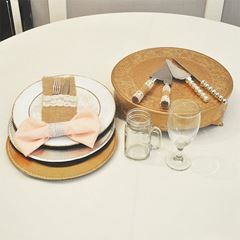 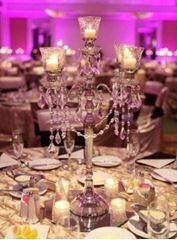 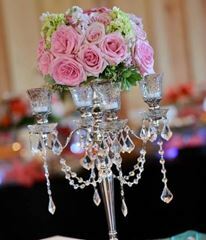 Vintage, classic, romantic decor. 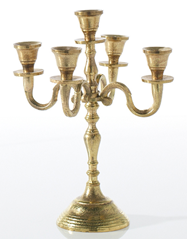 Gold candelabras (see also 12" gold candelabra) Flowers NOT included. 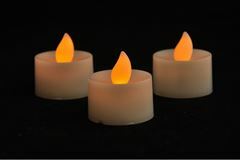 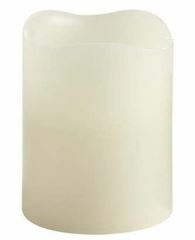 Battery operated candles, LED candles. 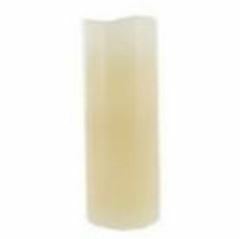 FYI: most candles have an on and "timer mode". 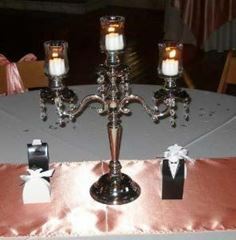 It is best to use the "on" mode so that candle will not turn off.